The Internet and WiFi are an important part of any modern smart home. 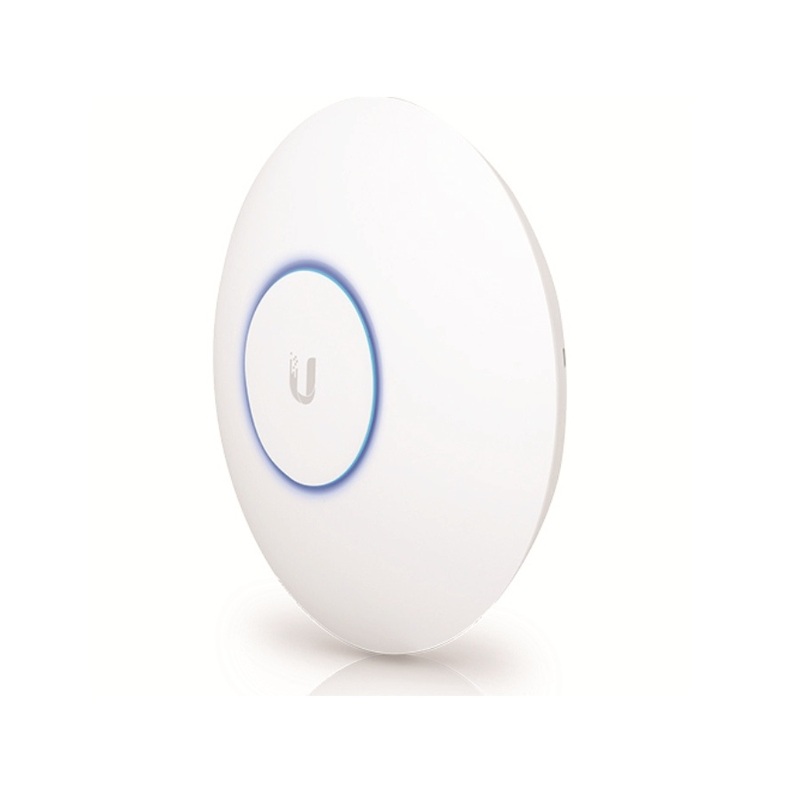 Ubiquiti is the prosumer level, rock solid foundation to use as the backbone for hassle free WiFi in your home. If you want wifi in your home that just works, all the time, then ubiquiti is for you. Ubiquiti is the prosumer level wireless network company with it's Unifi platform for Internet Access, Enterprise, and Smart Home applications, now available in Thailand. Unifi is the enterprise networking and wifi system from Ubiquiti that is taking the home market by storm. This rock solid wireless networking platform was previously only available for the professional market but now can be yours at home. The Unifi equipment is really a step-above the normal wifi router that the local internet company throw in for free with your internet access package. If you're fed-up with random drop-outs, not being able to see what's happening on your network or worried about security then Unify is for you. We can design and install a custom designed network anywhere in Thailand, taking into consideration your home design and requirements so that you can be sure of rock solid wifi, all the time, all over your home. Ubiquiti also offers a range of excellent IP CCTV Cameras for Video Surveillance that work alongside their Unifi network equipment. These can easily be added to our network design. We can design and install Unifi networking in Thailand in Phuket, Bangkok and Chiang Mai and Yangon in Myanmar. The Uiquiti UniFi Wifi system allows you to build a centrally managed WiFi network across multiple Access Points. The Ubiquiti Unifi range of indoor and outdoor access points utilise the 802.11b, 802.11g, 802.11n, 802.11ac wifi systems on the 2.4GHz and 5GHz bands. Powerful Features for Smart Home networks. The UniFi Switch is a fully managed PoE+ (Power over Ethernet) Gigabit switch, delivering robust performance and intelligent switching for growing networks. Advanced Port Management - Each switch port offers custom settings: port name, PoE, network/VLAN configuration, and operation mode (switching, mirroring, or aggregate) - as well as 802.1X Authentication and Radius VLAN support. The cloud key is a mini-Linux computer powered over it's Ethernet port that allows you full control over your Unifi Installation, remotely or locally. Unify Cloud Key controller available in Thailand from H3 Digital. The USG is UNIFI's Enterprise Gateway Router with Gigabit Ethernet, it's a secure router with built in firewall and security far beyond what the local Thai ISP will offer. Powerful Firewall Performance - The UniFi Security Gateway offers advanced firewall policies to protect your network and its data. Convenient VLAN Support - The UniFi Security Gateway can create virtual network segments for security and network traffic management. To have a great wifi experience in your home it all starts out with a great design, don't rely on your architect or builder to design in a professional, resilient wifi network - it just won't happen. We take into consideration the building, immediate environment and your needs alongside the hardware being used. With this information we design and then build a system that will deliver excellent wifi signals throughout your home, all the time. It's important that the right access points, network switches and cabling is designed in and that it's configured correctly for seamless roaming within the home. We can add Guest networking to keep your personal devices and computers working optimally on the internet. The Ubiquiti equipment is excellent, the Unifi interface is easy to use and powerful but as in other complex systems it's only as good as the initial design, get it designed right - by H3 Digital. How good is Unifi by Ubiquiti? The Unifi system was designed and develeoped by Ubiquiti for enterprise level, scaleable wifi and networking systems. Their hardwareand software helps connects hundreds of millions of people to the internet. It's billed as prosumer level, what this means is that it's in essence professional, enterprise, hardware that's available for the home user..
What do I need to get started with Ubiquiti Networking? You could start a Unifi network with just a single access point and a Unify controller running on a local PC. However the system really comes into it's own when you are running the cloud key, USG Gateway and the PoE Switches. When the whole system is Unified then each part of the system is in complete sync and you can view, manage and use the network how it was meant. Can I just get get my electrician or house builder to fit the network? No, It's really beyond the standard level of electrical installations we see in Thailand and SE Asia. Your electrician won't have the specialist knowledge, tools or fittings to plan, design and install a wired or wireless network properly. Will it show up as just one wifi SSID? With the Unifi system we can set-up guest access on your wireless network system. This will show up as another Wifi name (chosen by you) and have a different password. You can then limit guests so that they can't make changes or access part of your network, you can also allocate a certain amount of bandwidth above which the guest network can't go above. For example if you have a 10mbps fibre connection, and are worried that when you have guests over your email, IPTV, Skype etc... isn't going to work - Then allocate the guest wifi network a maximum of 2 mbps, ensuring they never use more than 20% of your Internet Bandwidth/Speed. Can I retro fit a Unifi wireless system into my already built house? Yes, you will have to take careful consideration of wifi access point locations and each access point will need to be wired in by ethernet (cat-5 or cat-6) cabling. The wifi access points can be powered by Power over Ethernet (PoE) so you won't need power sockets. Is it easy to manage and control? Yes, although it is an enterprise wifi networking system there are simple easy to view data and charts that enable you at a glance to see who's on what part of your network with what equipment. The Unifi User Interface (UI) is simple but powerful, Although it is complicated to install the system (it's designed for professional installers) once it's up and running, its a breeze to use. Yes it's a great addition to a Unifi wifi newtork, the Unifi IP Cameras are designed to work alongside the Ubiquiti network in perfect unison. It's easy to add the Unifi CCTV cameras and NVR (Network Video Recorder) for a full video surveillance system which can be accessed anywhere in the world via Internet. Yes, Unifi equipment is enterprise grade, it's used in professional environments all over the world just because of how resilient and secure it is, If you want maximum uptime and the peace of mind of a secure network then Ubiquiti is a great choice. Yes, you can start small and add extra access points or network switches later, it's probably a good idea to get all the cabling in at the same time though to make the upgrade process as easy as possible. Because of it's ProSumer level grade, it's not cheap. This level of quality never is, if you are interested in a rock solid connection, that just works all the time, and the wifi internet signal is important to you then you will find it is money well spent. Our complete Unifi network solutions generally start at around 25,000 baht and go up to 100,000 baht depending on your home size and needs.